Department of Behavioral Sciences, Peres Academic Center, 10 Peres St. Rd., Rehovot, Israel. The transition to college enhances feelings of loneliness, and lonely students typically underperform academically due to the depletion of cognitive resources. Mindfulness practice has been demonstrated to improve certain cognitive abilities. The current study examined whether mindfulness practice may moderate the relations between perceived loneliness and academic performance. In this study we combined data from two separate studies. In the first, loneliness, optimism, and academic self-efficacy were measured at the beginning of the academic year. In the second, mindfulness workshops were conducted in order to examine their impact on memory performance. In all, 73 college students in their first semester participated in the conjoint study (N = 50 mindfulness practice and N = 23 control). Their grades at the end of the semester and at the end of the year were also collected. 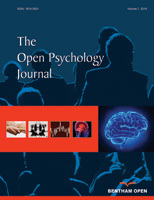 Regression analyses were conducted in order to examine whether mindfulness moderated the effect of loneliness on academic achievements, and revealed that: a) loneliness was negatively correlated with recognition memory performance and with grades; b) grades were higher in the mindfulness group than in the control group; c) mindfulness and loneliness interacted, such that loneliness negatively predicted academic grades only for students who did not practice mindfulness. The results suggested that mindfulness practice may reduce the outcomes of loneliness on academic achievements in the first year of college.